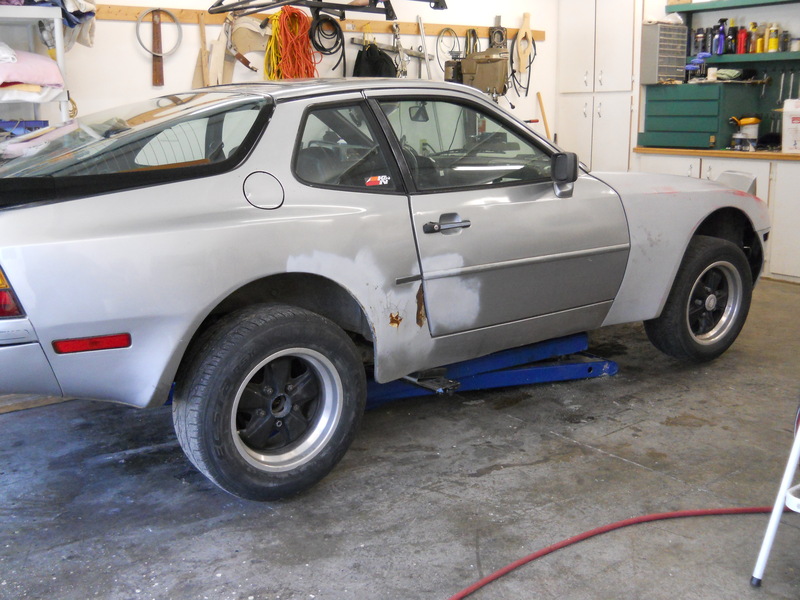 Now that I had my 1984 Porsche 944 street/track car brought up to snuff mechanically, I began to seriously appraise its aesthetics. Its appearance was not confidence inspiring. Yes, I know, a ratty looking car can still go quite well but the car was just not something I wanted to show up in and takes friends and family out into a track environment. Indeed, first impressions can be important. So I decided that a makeover was needed. My plan is fairly simple and subject to fine tuning as things go along. First is new paint. Then a refurb of the frankly awful dash. The sport seats are in pretty good condition but some work is required with them. And the carpet is certainly a bio-hazard. Fortunately there is almost no chrome to deal with, unlike on some American cars. Most of the metal trim is black. And certainly some work on the wheels and new tires will be in order. So stand by as we proceed on the makeover effort.